The practice of Reiki and Yoga go hand in hand. The practice of Yoga increases the flow of Reiki energy in a persons life. Yoga helps a person understand Reiki in a much deeper way. Reiki helps a person understand the deeper energies of Yoga. Yoga is the ancient art and science of balancing the physical and subtle anatomy of the individual. In Sanscrit yoga means “union”, a union between mind, body and spirit. A regular practice of yoga can bring very good results in therapies such as physiotherapy, psychotherapy, and in treatments of arthritis, asthma and hearth problems. Also it gives excellent result in eliminating alcohol, tobacco and drug addictions. Scientist around the world are studying the effects of yoga on human body. A very interesting study was made by a Hungarian doctor Vigh Bela, on how the nervous system was influenced by yoga exercises. 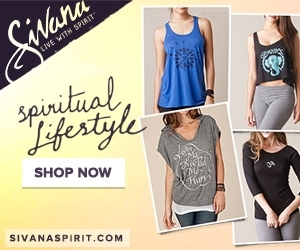 He came to a conclusion that certain asanas (postures) and pranayama (breathing) were connected with certain internal organs, endocrine glands and psychological states. There are many different types of Yoga, but here we will explore some basic Hatha Yoga techniques that bring depth to the art and science of all forms of Reiki..
Hatha Yoga is a combination of physical postures and breath. Hatha Yoga in these modern times works from the outside in to bring the physical forces into alignment with the subtle anatomy of our Higher Divine Nature. It is through the alignment of our energies with the Divine that the flow of Reiki energy for healing and personal growth is increased. The postures of Hatha Yoga were designed with specific anatomical intent. Here we will explore the Sun Salutation and it’s 12 postures which open up the inner channels of energy. The Sun Salutation is composed of 12 postures. Click here to learn them. Swami Satchidananda in his book "Integral Yoga Hatha" says that the Sun Salutation is the summary of Hatha Yoga postures. This means that these twelve postures are the least amount of yoga to be practiced to bring a balance into the twelve anatomical aspects of the physical body and its integration with the Higher Self. Each posture with the focus of intent has a particular anatomical and benefit. Each posture has more than one level of energy and focus. The Sun Salutation may also be combined with the different breaths. There are many ways to work with breath and the postures. Some breaths are easy and some are difficult. It really is a matter of personal preference and your level of curiosity about the energy associated with the different techniques. ∙	In the simplest form the postures are done one after another breathing an in-breath or an out breath on each posture. 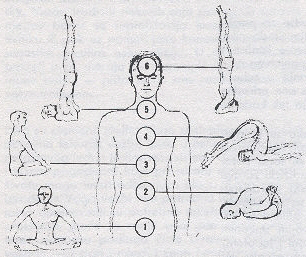 One round of the twelve postures is completed in six complete breaths. The intent of each posture can be expanded to many levels of healing and personal growth. One function of these postures is to enable a person to learn the knowledge of the subtle anatomy. As the intent is focused on the different layers of this knowledge the Reiki Energy flows through the anatomical aspects of our being and unfolds and opens us to a deeper awareness. It is not necessary to work with these postures everyday to receive benefits. Two or three times a week brings some balance, helps relieve stress, and brings some health and healing . Once you learn these postures you will find that few minutes time is all you need to work through these steps. Of course you may work with yoga everyday if you wish and increase the length of time of your practice. It is all up to you. If you want to learn more, find a Hatha Yoga book to learn from. You can also find a Yoga teacher if you want to learn beyond the basics.